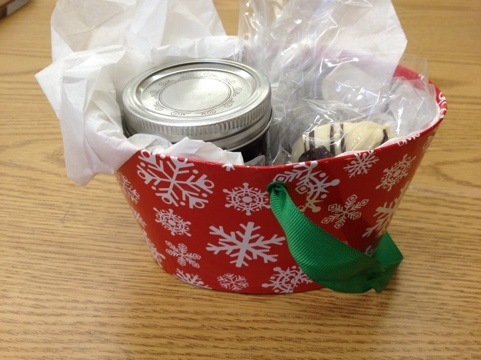 Nothing says thoughtful like a gift you made yourself. I always like to give tasty treats to coworkers that I make myself. Nothing gets more oohs and ahhhs. 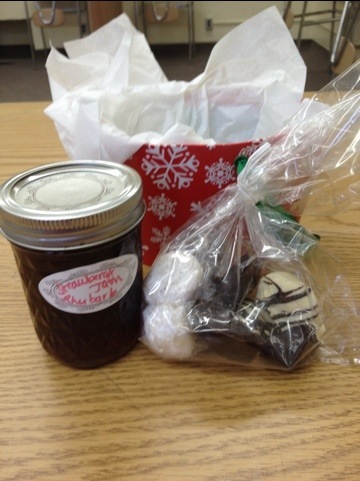 This year at work I gave pots of jam and chocolate treats. I make the jam when the fruits in season so it’s all ready to go and I spent one evening making two kinds of truffles and covering dried fruit in chocolate. Easy, cheap, and oh so thoughtful. If you want my candy recipes I’ve posted them here on my blog.